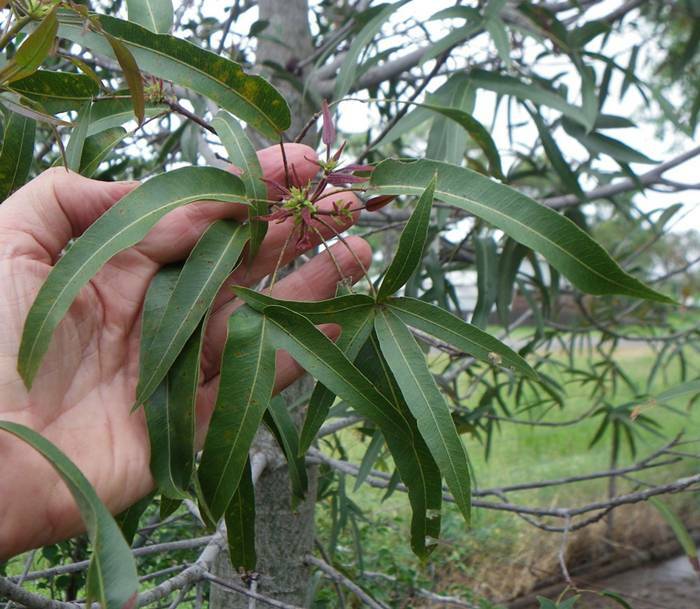 The Queensland Bottle Tree - Brachychiton Rupestris originally classified in the family Sterculiaceae, which is now within Malvaceae, is native of Queensland, Australia. 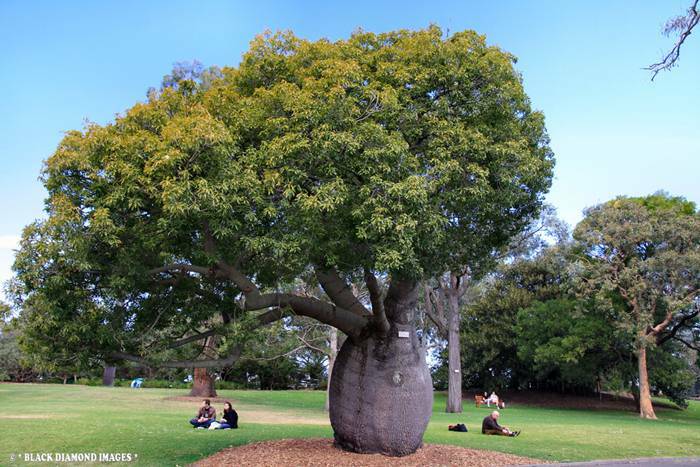 Its grossly swollen trunk gives it a remarkable appearance and gives rise to the name. As a succulent, drought-deciduous tree, it is tolerant of a range of various soils, and temperatures. 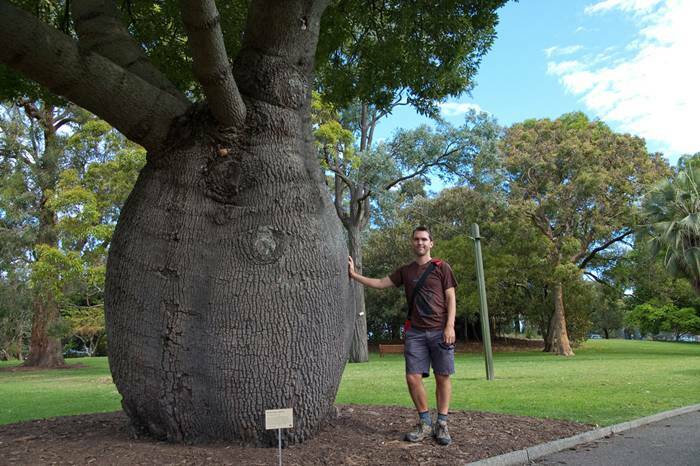 It can grow to 18–20 meters (59–65 feet) in height and its trunk has the unique shape of a bottle. 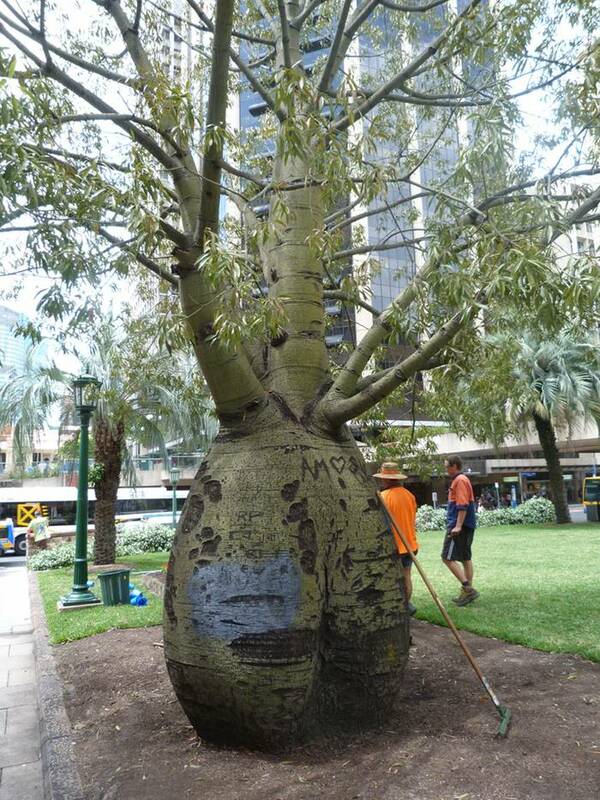 Its swollen trunk is primarily used for water storage. On every tree the leaves are variable from narrow and elliptic to deeply divided. Clusters of yellowy bell shaped flowers are hidden within the foliage, and are followed by woody boat-shaped fruits. 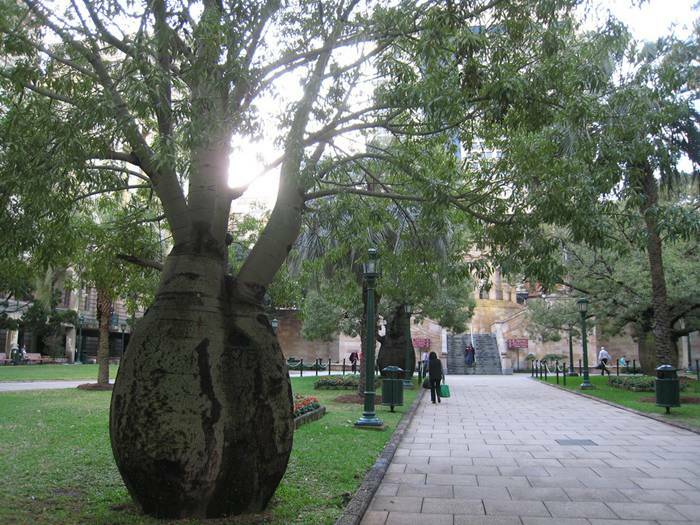 Bottle Trees are commonly found planted in streets, parks, on farms and as features in gardens. 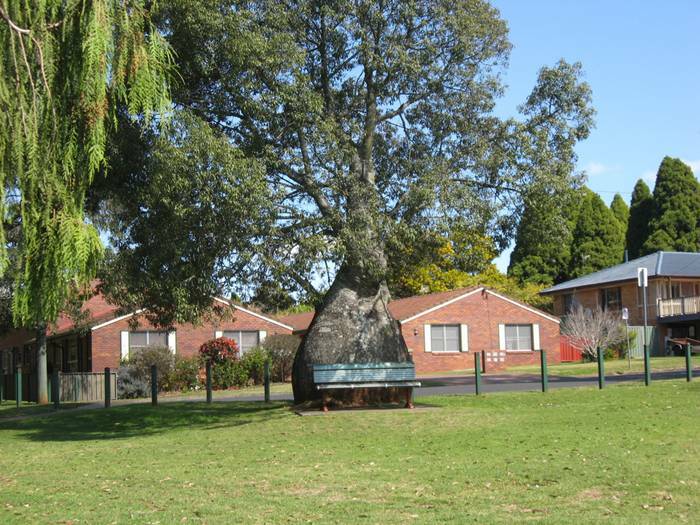 Roma, Queensland is one country town with prominent bottle trees. 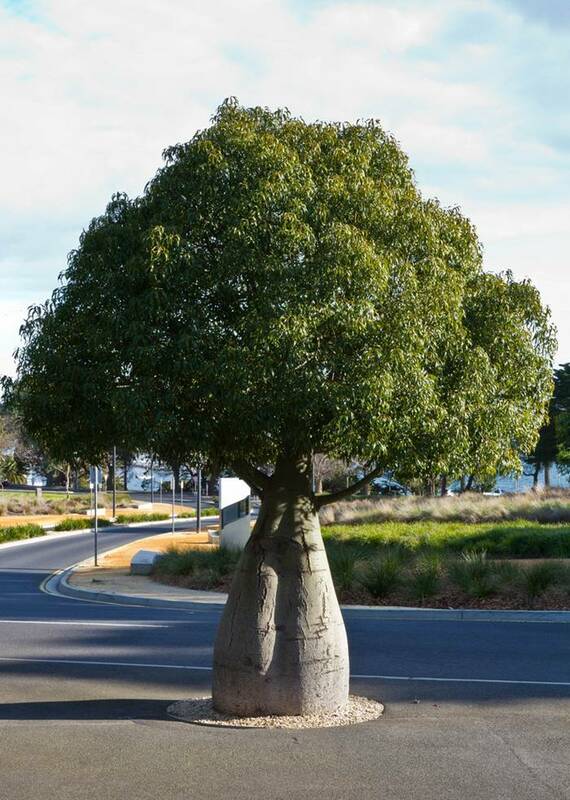 They also grace the new entrance to the Geelong Botanic Gardens (38° South Latitude). Cultivation — When cultivated, trees are propagated from fresh seed harvested in March. 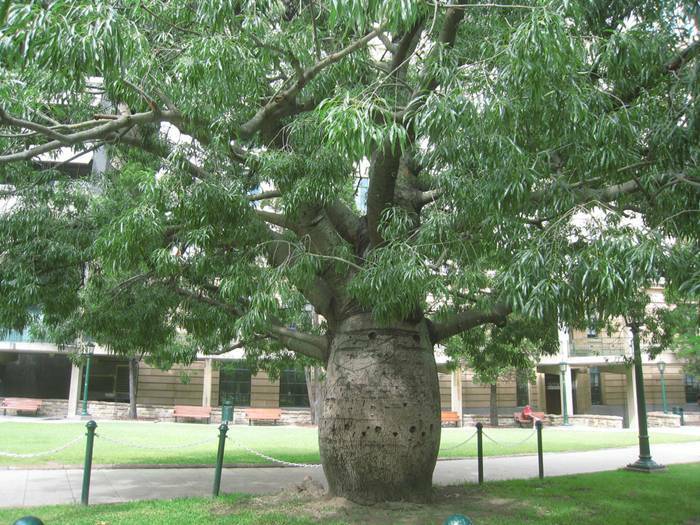 Bottle trees grow best in well drained, slightly acidic soil, in full sunshine. Suited to temperate subtropical and tropical climates. 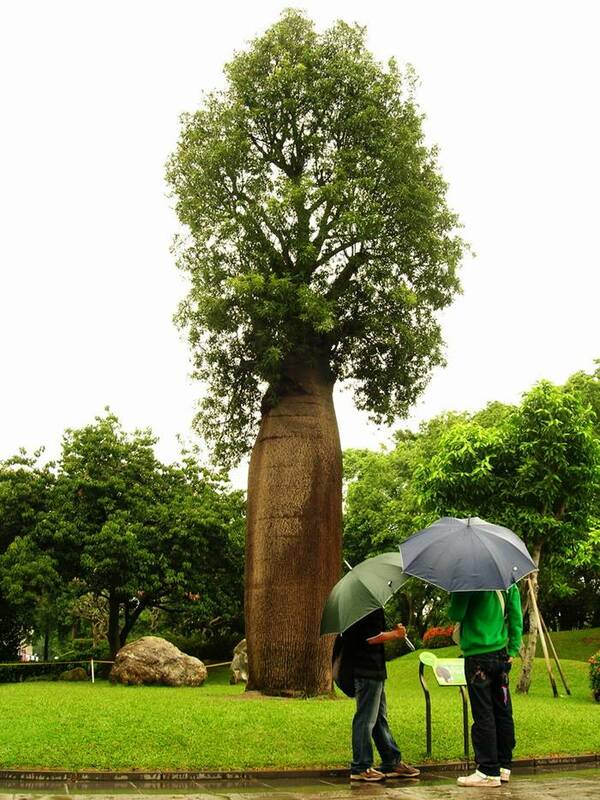 In the first stages of growth, the Bottle Tree is very slow growing, and the formation of the unique bottle shape is not visible until the tree is about fifteen years old. Mature trees transplant easily, and can withstand intervals of up to three months between digging and replanting without detriment. 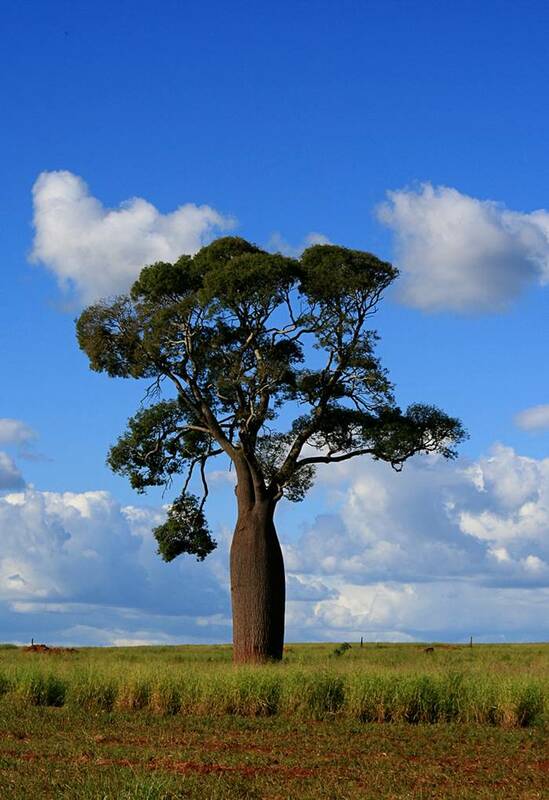 The Bottle Tree can also withstand temperatures of -10 °C to +50 °C in its natural habitat. 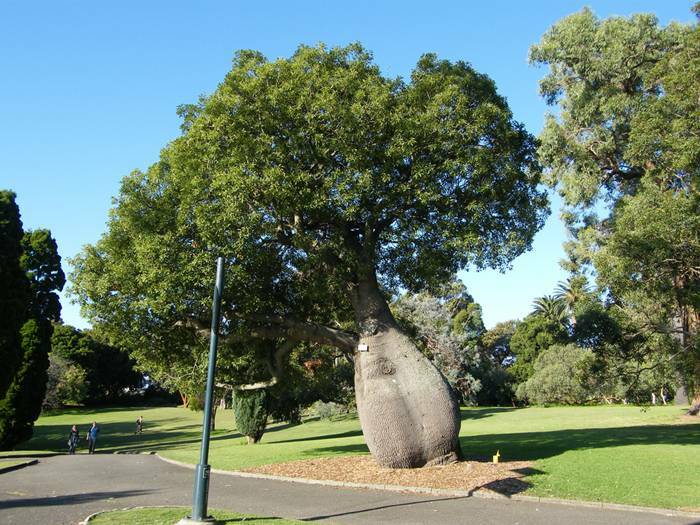 They have also been Planted in Bendigo Victoria with great success.